Our recent blog spoke to how dethatchers help your lawn “breathe” by chopping up dead roots and stems above the soil surface. Now on to lawn aerators, which address lawn health below the surface of the soil. Lawn aerators have the singularly un-glorious purpose of punching holes in the lawn. That’s it. And after you’ve used an aerator, you experience the gift of thousands of soil cores littering your lawn. Cores that you leave lying in place, where they apparently take care of themselves. Cores that you may end up looking at for weeks, depending on how quickly they break down and what additional steps you take. Ok, it’s clear that we're hung up on the cores. But one caution – a next step that experts never recommend is to clear the cores away -- something just about everyone who’s ever aerated feels like doing after they turn off the machine and look over their work. It's a mess. While aeration is a reductive process – pulling soil out and leaving nothing in its place, it really is a first step of an additive process of improving the soil composition by filling those holes with beneficial soil amendments and fertilizer. 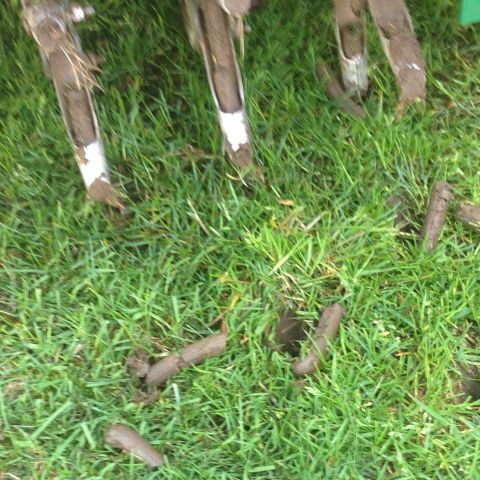 One last quick note on aerators: They cover a lot of ground very quickly. And even if you make multiple passes over your yard, as recommended, you’ll find you’ve completed your job more quickly than you may have thought. 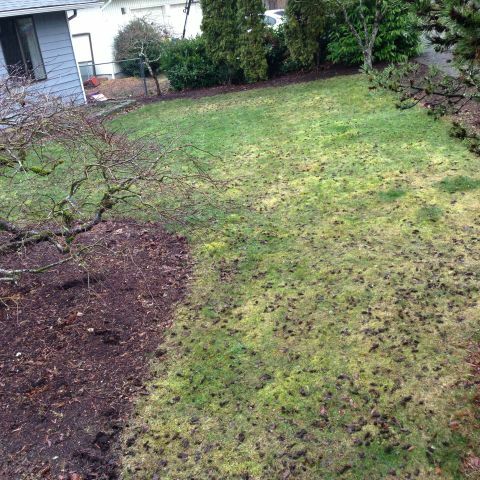 So, how long will it take to aerate your yard? Maybe add 20 percent to the time it takes to mow your lawn, assuming you were to do crosscut passes. It took us a little more than a half- hour to aerate our good-sized backyard. Because some rental yards have four-hour minimums on aerator rentals, consider bringing a neighbor or two into the game – unless you have a very large yard or the rental yard is miles away, there should be plenty of time for your neighbor to aerate their yard, and chip in to your rental kitty!